This is a short anecddote about how I approached teaching things to someone else. 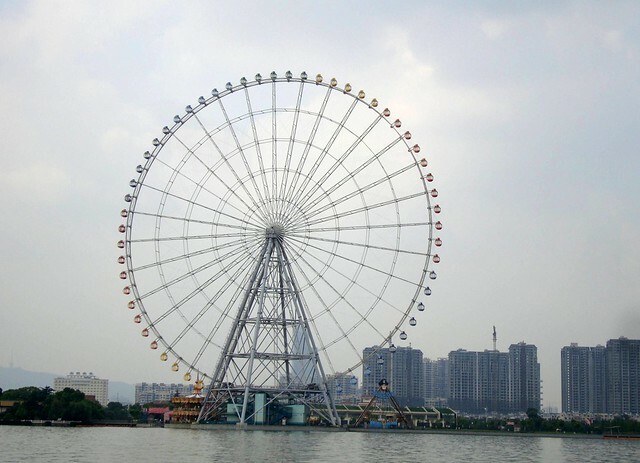 The coworker was struggling to understand the whole concept, so I tried to use a metaphor; I came with the idea of a Ferris wheel next to a lake, with someone in one of its basket holding a bucket, filling the basket with water from the lake everytime the basket is back to the ground. So as he was starring at me like I was a crazy person, and as I knew he did use React and Redux in the past, I told him it was like the reducer functions he probably used already. For the records, yes my coworker was still very oddly looking at me. Wow, that looks complicated, especially when you’re new to Elm. the next argument, typed as b, is the initial state we start reducing our list of actions from. the next argument, List a, is our list of actions. And all this must return a b, hence a new state. We have the exact definition of what we’re after. Note: if you’re still struggling with these a and bs, you should probably read a little about Generic Types. We quickly drafted this on Ellie. It’s not graphically impressive, but it works. That was it, it was more obvious how to map things my coworker already knew to something new to him, while in fact it was actually exactly the same thing, expressed slightly differently from a syntax perspective. We also expanded that the Elm Architecture and the traditional update function was basically a projection of foldl, Action being usually named Msg and State Model. The funny thing being, Redux design itself was initially inspired by the Elm Architecture! always try to map what you’re trying to learn to things you’ve already learned; past experiences are good tools for that. Random things we're discovering & learning at Allo-Media.